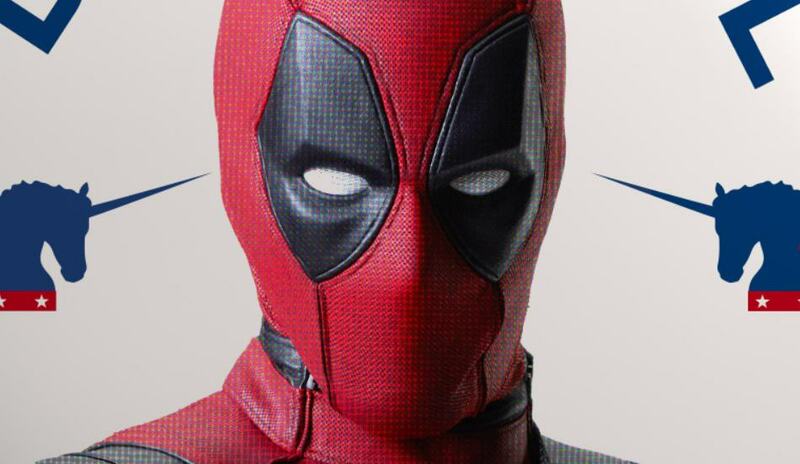 Four days before Deadpool hits theaters, anyone able to make it to New York will be given a special opportunity to participate in a fun, cosplay-heavy event. On February 8, a special fan screening will be held at the AMC Empire 234, located on West 42nd Street. Admission to this advanced screening will be granted to those who arrive first, although they will have to have registered here prior to the event and will have to bring along a parent or guardian if they are under the age of 17. But that’s not all. 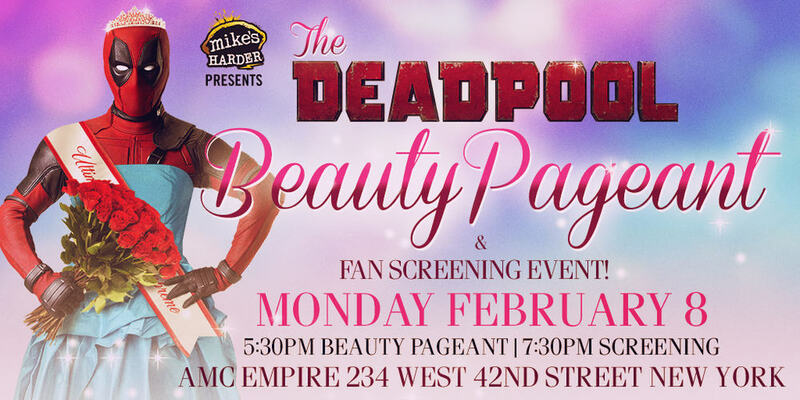 Those who register can also take part in the Deadpool Beauty Pageant. 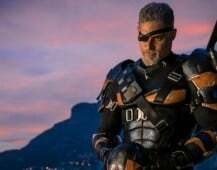 Ten fans who wear the best Deadpool costumes will get to cosplay down a red carpet and show off to the crowd, after which they will seated in a VIP section of the theater. The beauty pageant will begin at 5:30 PM ET, with the screening beginning two hours later at 7:30—but the “first come, first served” admission policy means that many fans will probably be lining up much earlier. 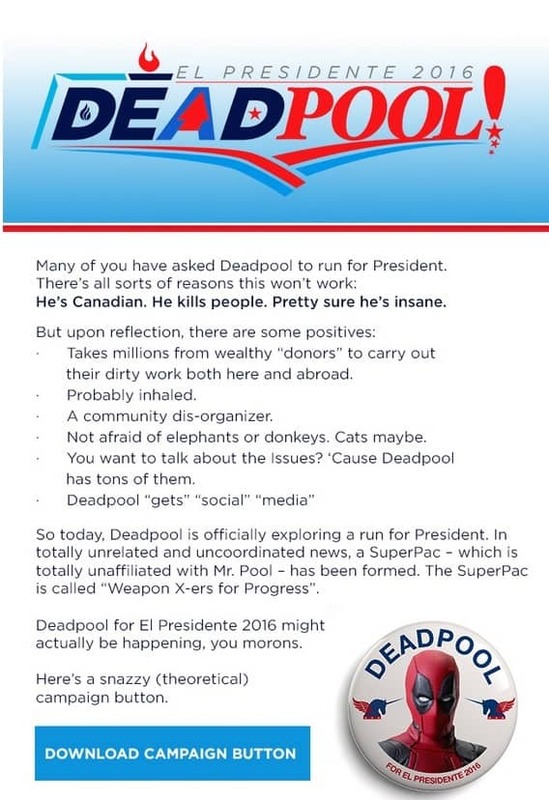 If you aren’t a member of Deadpool Core and did not receive the above email, that download link leads simply to the image below, which those with the proper means and knowhow should be able to turn into a real campaign button if they so desire. 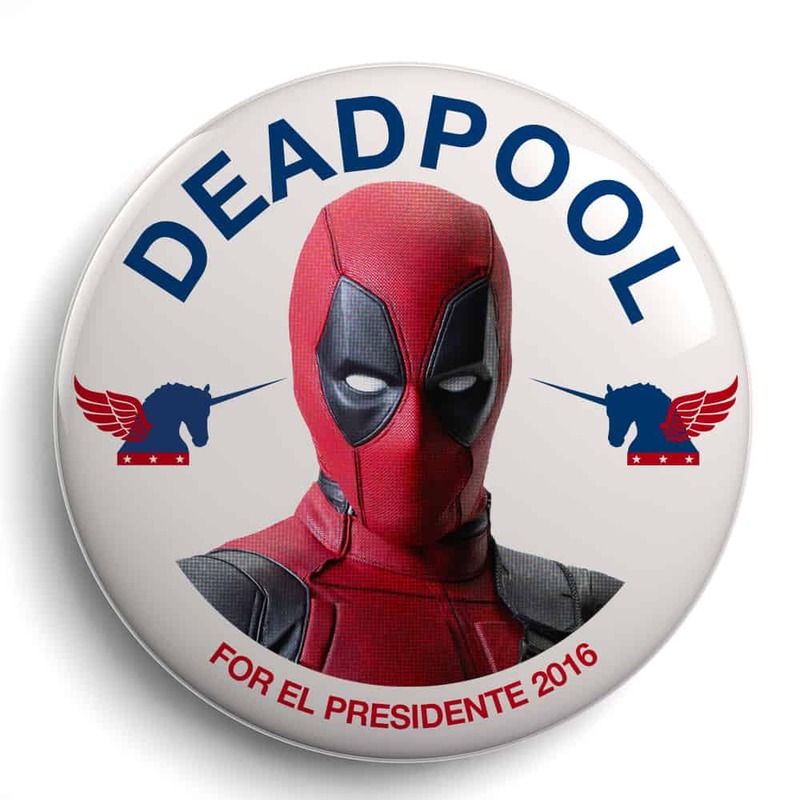 Deadpool releases on February 12.